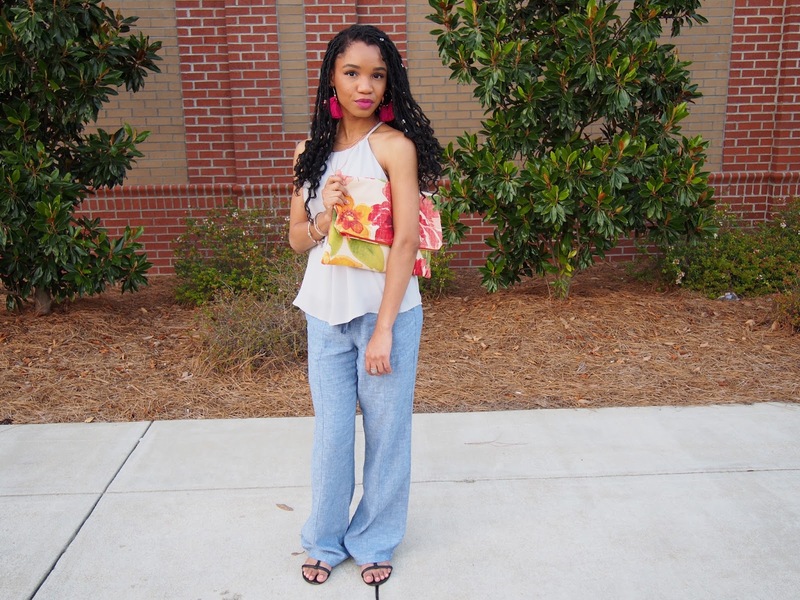 Every girl needs that perfect outfit that's loose and flowy without drowning her figure! 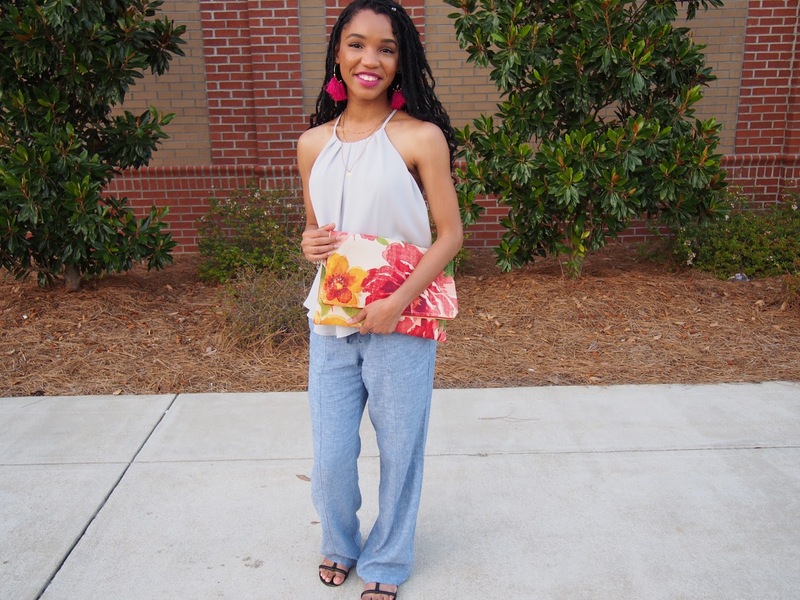 I recently got these linen pants (perfect for summer weather) from New York and Company and I absolutely love them! Random fun fact about me, I almost never wear jeans because I hate them with a passion. Just kidding (kinda), it is just really hard for me to find a pair that fits comfortably. 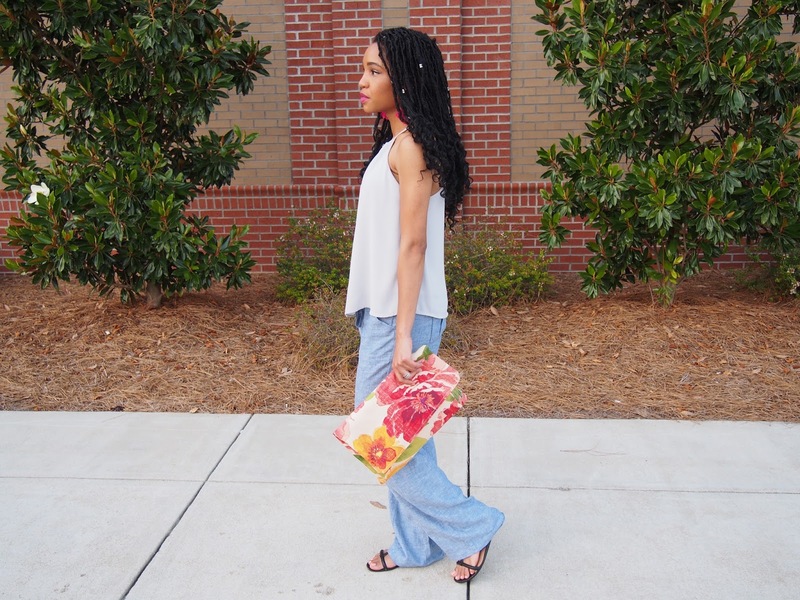 With that being said, I usually jump at the chance to buy pants that resemble denim or chambray in the slightest because its one of the easiest fabrics to style. These pants are extremely light but still read as denim which helps me fulfill the jean need in my wardrobe (lol). 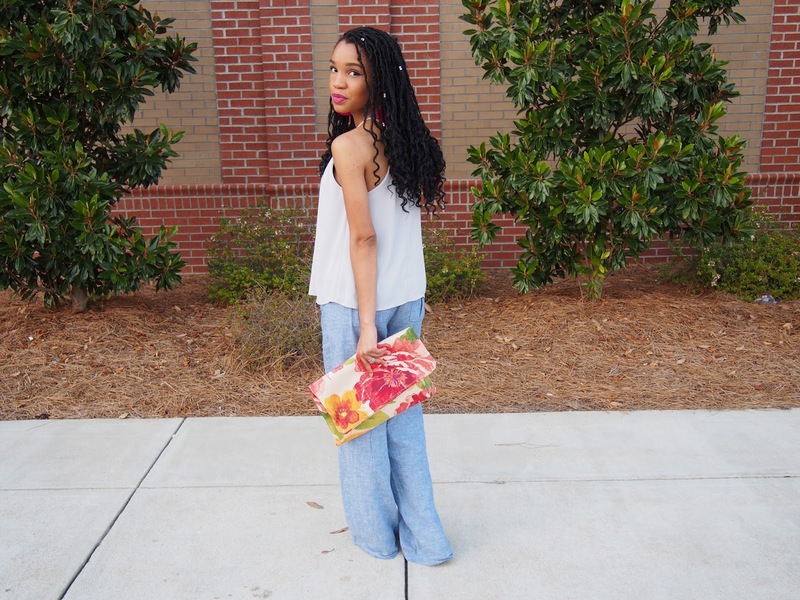 If you have been a follower of mine for a while then you will recognize my DIY Clutch that I made last year! I still carry it in all of its oversized glory and it is still the perfect accessory to spice up my plain colored outfits. I kind of did a cool color vs. warm color thing here in this outfit, with my main outfit being gray and light blue and my accessories bringing in the warmth! I actually loved how this turned out, almost like the perfect balance. These pants are literally a blessing due to the fact that I LIVE in leggings and with a new job opportunity opening up, I now have to act like I have some stylish sense! In my last outfit post I mentioned how I accidentally trashed my entire jewelry collection (heartbreaking). These tassle earrings happen to be one of the items I picked up in H&M during my mini haul. I plan on showing you guys all my goodies sooner than later so stay tuned. I was a little skeptical at first, because even though I like color I usually stick to simple silhouettes when it comes to my dangly earrings. 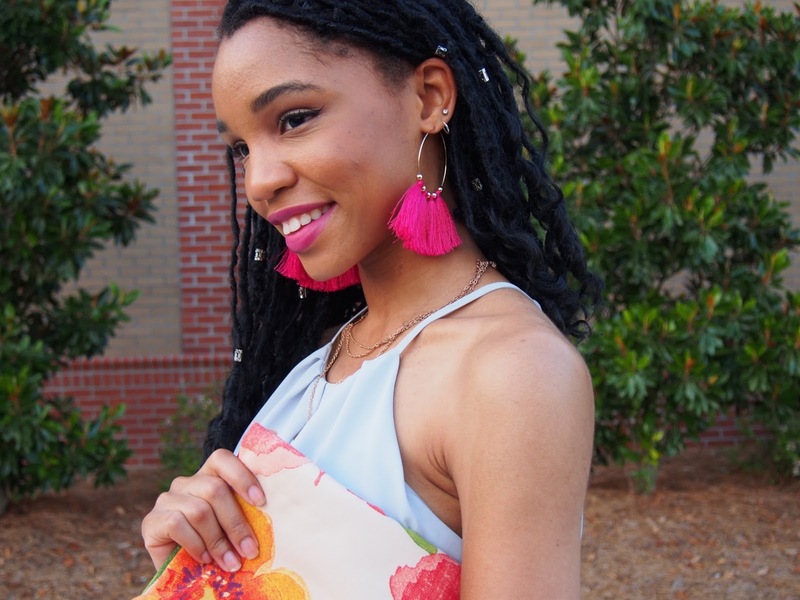 These tassle earrings make a bold statement with their bright color and golden accents. I am so happy I ended up getting them cause they were a steal ($1) and I ended up loving them with this outfit! THAT CLUTCH IS AMAZING!!! It's so cool that you DIY it! Thank you so much! I really appreciate it! I used to have the post up on how I made the purse I might have to put it back up.